This accessible book explains clearly how to assess your current level of fitness and how and why you should set goals that will help you get the most from your workouts. The main part of the book focuses on how to improve the strength and efficiency of your heart and lungs through all the most popular exercises, sports and pastimes. Then, learn how to strenghen your body and develop the core muscle groups with the best and most effective resistance training exercises. The book goes on to show you how to maintain flexibility and avoid injury, as well as how best to fuel your body through the right nutrition. 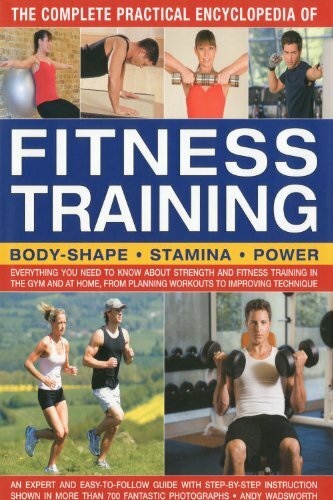 Lastly, the book brings together all this valuable information into personal training plans. Andrew Wadsworth is a former world class athlete, first competing as a professional mountain bike racer, then winning the 2002 Xterra Offroad Triathlon World Championship. At the end of his athletic career, he then went back into education, gaining a degree in Sport and Human Movement. He is currently the Director of My Life Personal Training in Bristol, UK. He has written for a variety of sport magazines, including What Mountain Bike, 220 Triathlon, Men's Health, and Men's Fitness.